How to neuter your cat for free! 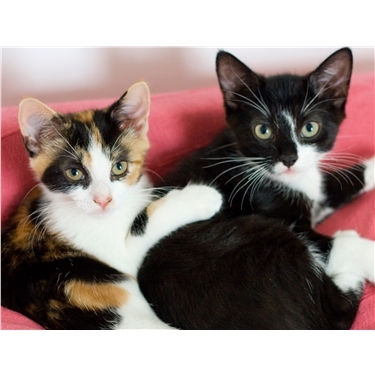 In addition to finding new homes for the UK's thousands of unwanted cats and kittens, Cats Protection runs a voucher scheme to encourage people to neuter their cats. We will provide you with vouchers which cover the full cost of neutering at any veterinary surgery. Absolutely any and every cat owner can benefit from our vouchers as they are not means-tested. We believe in helping people to take responsibility for neutering their cats regardless of personal income, as we would love to reduce the unwanted cat population in our area. Kittens can be neutered from the age of four months, and adult cats can be neutered at any age. Many cat owners don't realise that as well as preventing unwanted pregnancies, neutering your cat will vastly improve his or her quality of life. FIV (the feline equivalent of HIV) and FeLV (feline leukaemia) are endemic in most urban areas and are contracted from bite wounds; both viruses result in terminal illness. Un-neutered toms are particularly vulnerable to these diseases as they fight each other over females and territory, but female cats can contract them too, as they often get bitten by males during mating. Male cats can inflict horrific injuries on one another when they fight. Bite wounds frequently become infected and require expensive veterinary treatment. Neutering your male cat will, in most cases, dramatically reduce his urge to fight over territory and so help keep him safe. It will also get rid of that distincitve aroma characteristic of tom cat urine and curb your tom's urge to spray everywhere - something your neighbours will be very pleased about! Un-neutered cats can very easily become strays. Your un-neutered tom could easily wander so far in search of females that he becomes lost and unable to find his way home. Your female cat could be chased by toms when she's in season and then end up as one of the many lost, pregnant cats who have to give birth to their kittens outdoors - the lucky ones get found and taken in by animal charities, the others struggle to feed themselves and keep their kittens safe. If you have an un-neutered cat, or know someone who has, PLEASE call our helpline on 0208 853 8666 and ask for a neutering voucher. Our vouchers cover the borough of Greenwich and many surrounding postcodes.